The original document for this pastoral figure pattern was found on a French folding screen in Adelphi’s collection. Though printed around 1815 it appears to be based on circa 1780 Continental engraving. 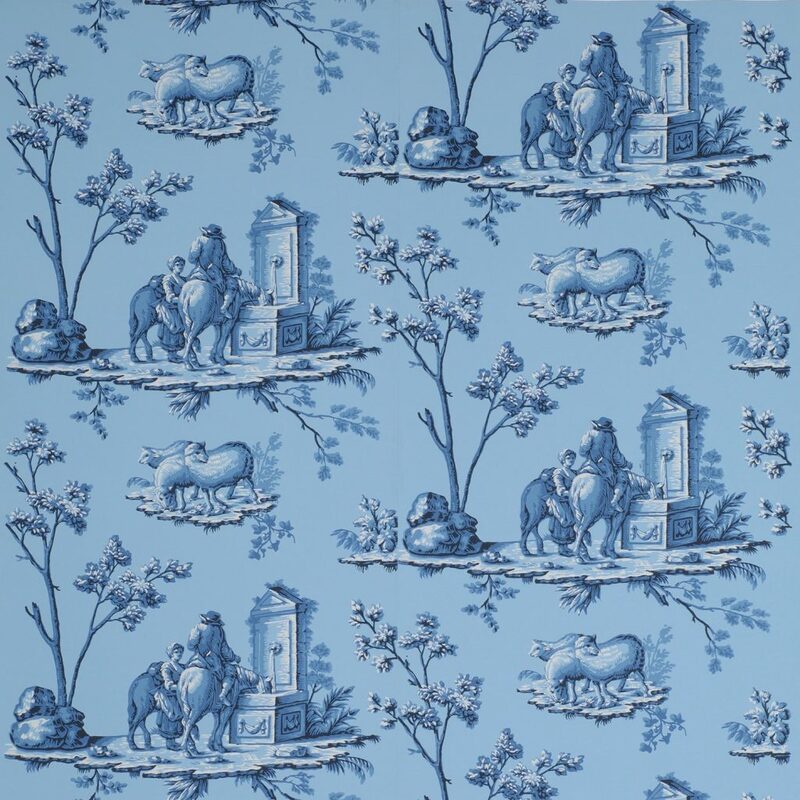 Also, it may possibly relate to an earlier textile; certainly it resembles a toile de Jouy. This serene landscape was originally printed on in two shades of blue on a lighter blue and highlighted with black and white. Other tone-on-tone combinations using ochres, red or greens would work equally as well. 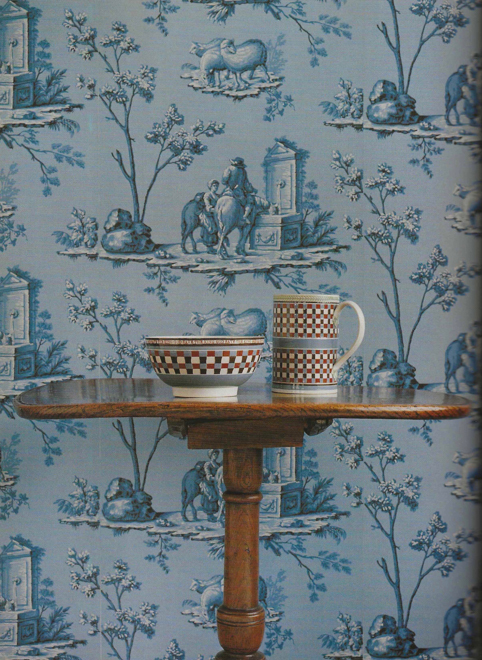 Imperial Measurements: Repeat 19 ⅛ inches, width 19 ¼ inches, length 11 yards, half-drop match. Metric Measurements: 53.6 cm, 48 cm, 10 m.